The internet is awash with supercar comparison videos. A quick delve into YouTube brings up an endless list films, all using the same formula. Moody, high definition panning shots, switching to a close up of exotica racing into view. Chris Harris remains the undisputed master of the genre. Often copied, but yet to be beaten. His recent episode, where he thrashed a McLaren P1, Ferrari LaFerrari and Porsche 918, clocked up a million views in less than a week. However, a new pretender is gathering momentum. Los Angeles-based Alejandro Salomon appears to have unlimited access to supercars. In the past month, he published a three part series driving the same cars as Harris, plus the Bugatti Super Sport and Pagani Huayra. Take that. Salomon has built his influence and standing in the supercar world using a range of social media platforms. Indeed, the self-made entrepreneur also owns his own media production company, which seems to be the driving force behind his videos. 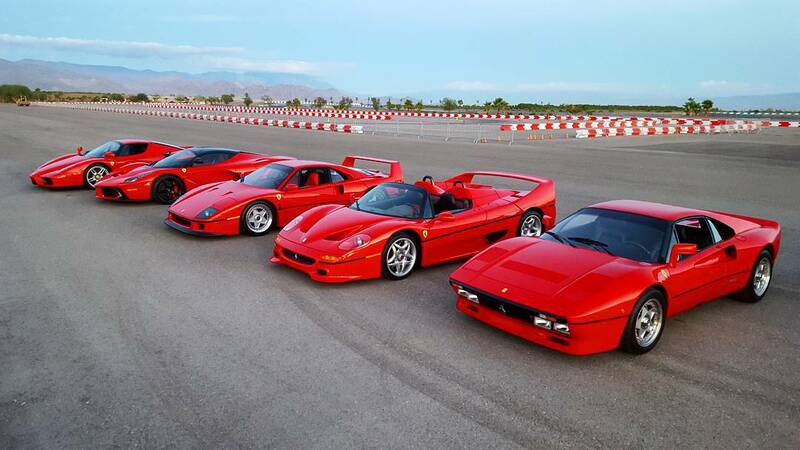 Salomon has titled his latest work ‘Ferrari’s Big 5’. He’s just released part 1 of this triple header, where he drives the greatest cars to roll off the Maranello production line: the 288 GTO, F40, F50, Enzo and LaFerrari. Curious? Watch the video below and let us know what you think. Much prefer Chris Harris, don't know why just don't like this guy and the dialogue isn't very good in some of his videos. But I'll watch anything that got nice cars being driven hard so its all good. They couldve parked them in order! Ha! Pedant :) Not taken by this guy yet. Not keen on his style and for all the wizardry of his videos, they feel a bit pedestrian. Still, he's got some pulling power to get that line up on a track and I hope episode 2 hits the accelerator a bit more.